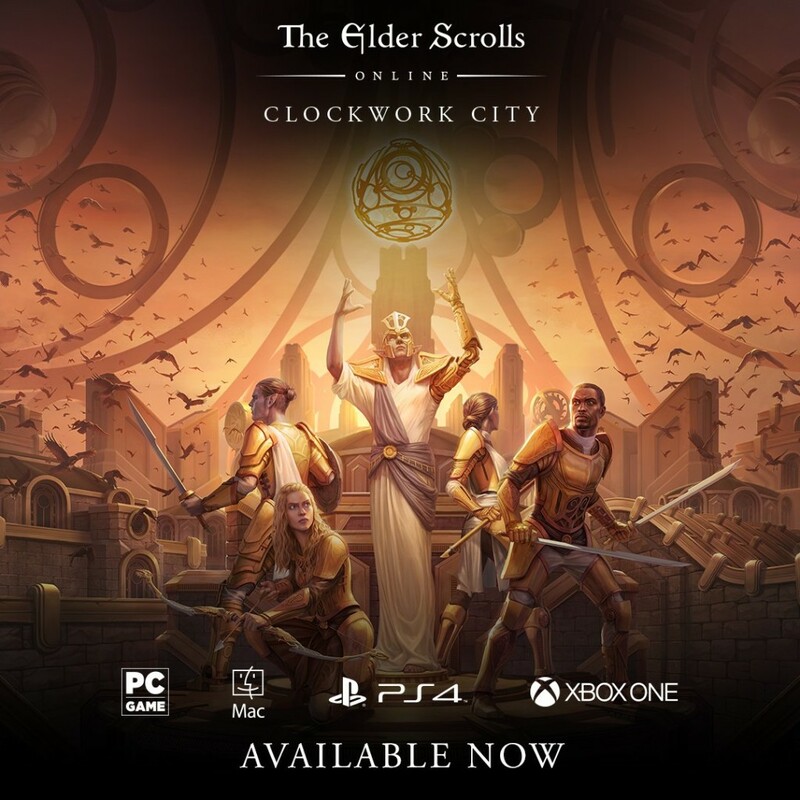 Just days after the release of the PC version, Clockwork City expansion for The Elder Scrolls Online is also available on PlayStation 4 and Xbox One. Bethesda releases the launch trailer for Clockwork City, the new downloadable content of The Elder Scrolls Online. This DLC was already available to PC users and is now also accessible from PS4 and Xbox One. A mysterious daedric conspiracy threatens Clockwork City. Get into the realm of Sotha Sil and explore a unique mechanical world throughout Tamriel! Deal with new areas, a unique story, a new and challenging Trial, new daily missions, and more. The downloadable Clockwork City content takes Tamriel’s adventurers to an area unlike any other, the legendary Clockwork City of Sotha Sil, to investigate a new Daedric threat. The package features 10 hours of new stories from The Elder Scrolls and is riddled with unforgettable architecture, strange creatures and powerful hybrid monsters. In addition, players will find a new test, Asylum Sanctorium, which will test the worth of any group of 12. It also includes new and special sets of armor, personalization items, craft designs and much more. It is very necessary for you to make money in game to prepare for The Elder Scrolls Online: Clockwork City. However, you can buy cheap ESO gold on ESO-GOLD if you don’t have enough time to make money.